European antitrust authorities moved a step closer Wednesday to issuing a hefty fine against Microsoft for failing to offer Windows users a choice of Internet browsers. "We have reached the preliminary conclusion that Microsoft breached its commitments to provide Windows users with a choice screen between internet browsers," said Joaquin Almunia, competition commissioner for the European Commission. The warning follows an investigation launched in July. The software giant now has four weeks to respond or risk a fine of up to 10% of revenue. Last year, Microsoft's sales totaled nearly $70 billion. "Before the Commission takes any final decision, I will of course listen to what Microsoft has to say. So I will not prejudge our decision today," Almunia said. 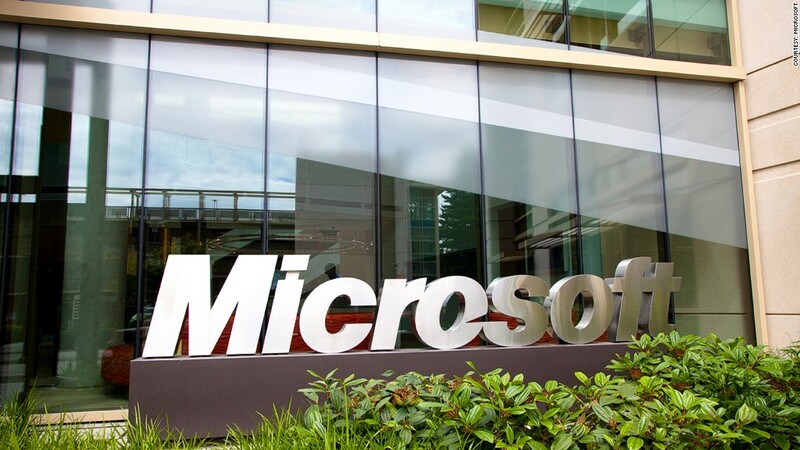 Microsoft says it is very, very sorry for the violation, which it called an inadvertent error. "We sincerely apologize for this mistake and will continue to cooperate fully with the Commission," the company said Wednesday in a written statement. "Although this was the result of a technical error, we take responsibility for what happened, and we have taken steps to strengthen our internal procedures to help ensure something like this cannot happen again." European regulators say Microsoft (MSFT)failed to comply with a legally-binding five-year commitment made in 2009 to give PC users in Europe a choice about which browser they use. As of March 2010, a "choice screen" was supposed to pop up when a user was setting up Windows, displaying 11 differing browsers to choose from, including Microsoft's own Internet Explorer. Other options include Safari by Apple (AAPL) and Chrome by Google (GOOG), as well as Mozilla Firefox and Opera. Microsoft initially complied with the agreement, but stopped showing the choice screen when it rolled out a Windows 7 update called "Service Pack 1" in February 2011. "This means that those users have not seen the choice screen in the period from February 2011 to July 2012," Almunia said. Microsoft apologized in July for the snafu and said it issued a fix "as soon as we became aware of it." The company said Wednesday that it is actively working with the European Commission on compliance issues around its new Windows 8 operating system, which goes on sale Friday. "After discussions with the Commission, we are changing some aspects of the way the Browser Choice Screen works on Windows 8 and will have those changes implemented when Windows 8 launches later this week," Microsoft said. Microsoft faced similar antitrust lawsuits in the United States in the 1990s and early 2000s, when it was accused of using its dominant position with Windows to promote its Internet Explorer browser over rivals like the now-defunct Netscape Navigator. Since then, Microsoft's share of the browser market has gradually eroded. It now controls about half the market, according to various surveys. The European Commission in 2004 ruled that Microsoft's tying of certain software to Windows represented an abuse of its dominant position. It was fined €497 million in 2004, then €280.5 million in 2006 for failing to comply with the ruling. In 2008, Microsoft was fined another €860 million for non-compliance.